The Firefly 109 CE Marked Pipe Fire Sleeves provide up to 4 Hours Fire Resistance to various plastic & metal pipe and PVC vent duct penetrations. The Fire Sleeves have been fire tested to EN 1366-3:2009 & BS 476. The European Technical Approval (ETA-12/0332) and EC Certificate 1224-CPR-0341 enables the range to be CE Marked and used throughout the EU. The EN fire testing included pipes and ducts tested with Uncapped/Uncapped (U/U) pipe/duct end configuration as required for ventilated systems. The Firefly 109 Pipe Fire Sleeves are particularly suitable for use in plasterboard partitions, but can be used in blockwork walls and floors. One length of Fire Sleeve can replace two collars in wall constructions. The Sleeves do not require any additional metal sleeving. 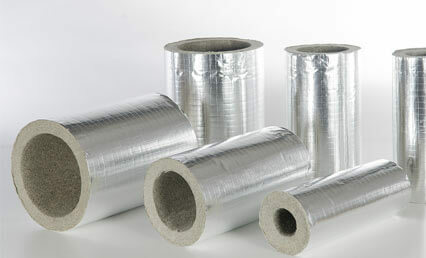 The unique intumescent material is vacuum formed to shape which ensures controlled sealing of the plastic pipe or duct.